For homeowners of Great Falls, MT, we are proud to offer the trusted Renewal by Andersen® brand, a name synonymous with high-quality, energy-saving, and beautiful windows and patio doors for years. 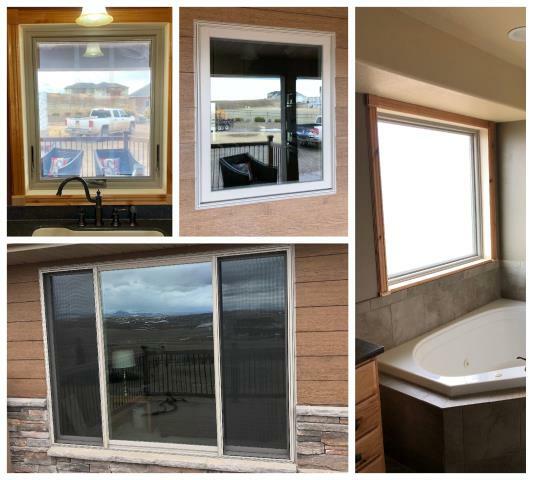 Renewal by Andersen of Montana is your leading provider of high-quality windows and doors in the Big Sky Country area. 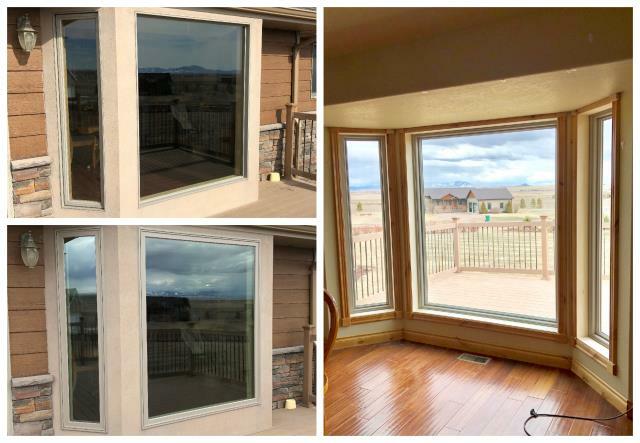 Whether you need large picture windows, operable double-hung, or unique specialty windows, we can install them for you. We can also amp up your outdoor spaces with our beautiful French and sliding patio doors. Our windows are one of the best on the market today because of the materials that we use. Our exclusive Fibrex® is a composite material that is twice as strong as vinyl. This low-maintenance material will not rot, fade, or corrode and will stay intact even under varying weather conditions. Fibrex is also a great insulator like wood, even performing 700 times better than aluminum. Combined with our High-Performance™ Low-E4® Glass, you can expect more energy savings and a more comfortable indoor environment for years to come. Our windows also amp up the look of your home, both on the inside and the outside. They come with various finishes that will surely match your home’s color scheme. You can also pair your windows with stylish hardware options and grille patterns for a polished look. Professional installation – We make sure that your windows and patio doors are installed according to manufacturer guidelines, ensuring years of optimum performance. Hassle-free process – We handle everything, from consultation to installation. We’ll even take care of your windows after we install them. Cost savings – Since our windows are ENERGY STAR®-certified, they reduce heating and cooling costs, leading to more savings. Long-term value – Our hands-on approach results to years of quality, energy savings, and beauty. Superior window performance – With Fibrex frames and High-Performance Low-E4 glass, you can expect your windows to stand up to different weather conditions for years. Added aesthetic appeal – We have an array of styles, colors, grille patterns, and hardware options to choose from. For windows and patio doors that bring beauty, comfort, value, and savings to your home, look no further than products from Renewal by Andersen of Montana. Get in touch with us today to learn more about your options. You can call (406) 259-3944 or fill out our contact form. We updated these vinyl windows with new RBA fibrex picture windows. We replaced 13 windows in this beautiful home just outside of Great Falls. 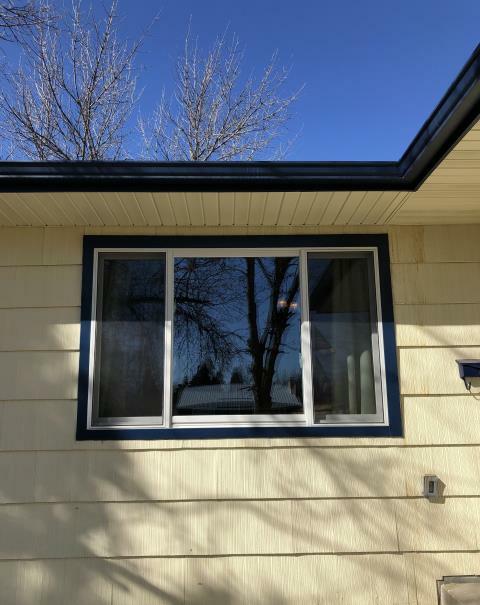 Replaced 3 windows in Great Falls, MT, with Renewal by Andersen gliders - we were able to wrap these windows with a maintenance free blue metal for a perfect match to existing trim! 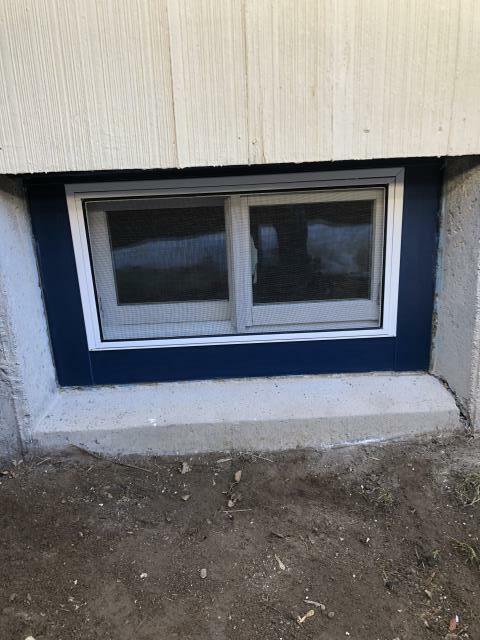 Replaced 3 windows in Great Falls, MT, with new Renewal by Andersen windows - we were able to wrap these windows with a maintenance free blue metal for a perfect match to existing trim!